During this fishing trip that will take about three hours we go fishing in the North Sea, off the Belgian coast. We depart from the port of Ostend, where coastal fishermen provide a daily supply of fresh shrimps, which can be bought at the famous Ostend Vistrap (fish market). 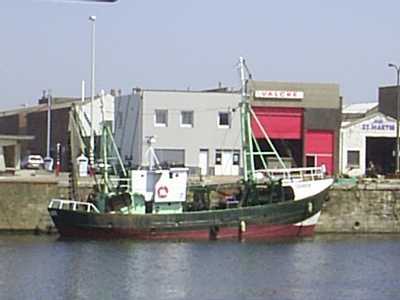 You can find our ship, the Crangon, on the eastern bank of the Ostend port channel. We are moored near the Lange Nelle lighthouse, where you can easily embark and debark. Our shrimp fishing vessel is equipped in the traditional manner so as to allow you to experience how Flemish fishermen used to practise otter board fishing with side trawlers. 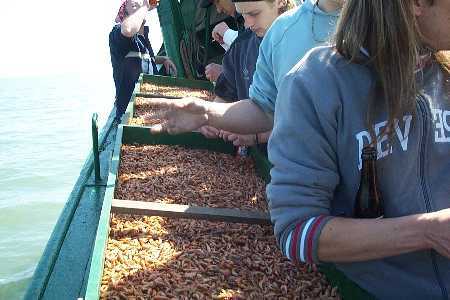 The shrimps are sorted, washed, boiled and then cooled down as quickly as possible by your hands. Afterwards … you can take a "taste" of the catch home with you for free!